An upstream perspective of the proposed site of Temperance Flat Dam in Millerton Lake. U.S. Bureau of Reclamation staff members and consultants are continuing to analyze and study a proposal to greatly increase the San Joaquin River’s water storage and management capabilities and options. Reclamation officials this month conducted a workshop to update cooperating agencies on the studies, in which the Friant Water Authority participated. “We learned that Temperance Flat Reservoir is still looking feasible, but operations, costs, bond eligibility for public benefits and issues related to water supply, water quality and project beneficiaries all need further analysis,” said Ronald D. Jacobsma, FWA General Manager. Development of the proposed Temperance Flat Reservoir has been studied extensively in recent years and, although much analysis is still needed, a number of objectives have been identified with progress made on planning project details, Jacobsma said. Known as the Upper San Joaquin Basin Storage Investigation, Temperance Flat’s feasibility study has identified design, capacity and operational characteristics that would increase water supply and system flexibility for farm, urban and environmental water uses in the valley and other parts of California. “We continue to encourage Reclamation to supplement the feasibility study with analysis of how Temperance Flat might be integrated into other parts of the south-of-Delta water supply system,” Jacobsma said. Also enhanced would be water temperature and flow conditions within the San Joaquin River downstream of Friant Dam, including river reaches to the confluence of the Merced River where a massive river and fishery restoration program is beginning to be implemented. The Restoration Program requires water to be released from Friant Dam from supplies that would otherwise be used within Friant districts. Also needed are water temperatures cold enough to support a Chinook salmon population. 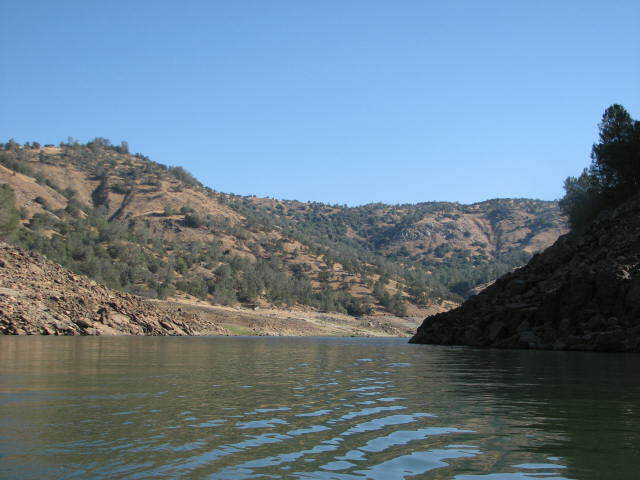 Other Temperance Flat benefits would include improved water quality for urban users, increased hydropower generation flexibility, better flood management and protection, possible statewide water system integration, and enhanced reservoir recreational opportunities. Looking west over the San Joaquin River to the proposed site of Temperance Flat Dam and existing Millerton Lake. 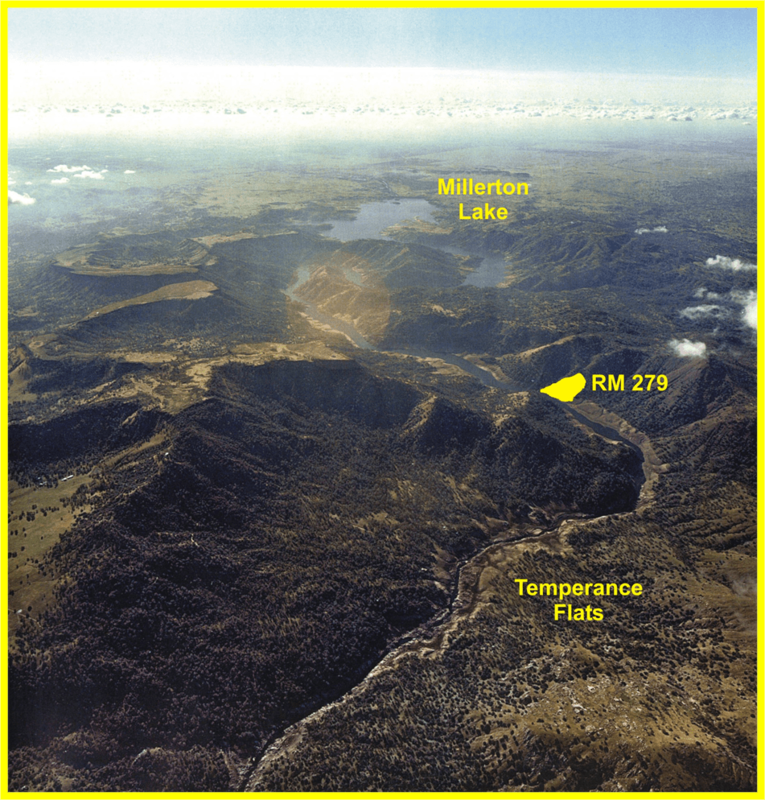 The favored Temperance Flat Dam site is located within the existing Millerton Lake, a short distance upstream from its confluence with Finegold Creek in Madera County. It would create a reservoir of up to 1.2 million acre-feet while modestly reducing Millerton Lake’s capacity. Millerton Lake, formed by Friant Dam northeast of Fresno, is the primary storage facility for the Central Valley Project’s Friant Division but has a comparatively small storage capacity of 520,500 acre-feet. That capacity is called upon to control average annual runoff of 1.8 million acre-feet. Temperance Flat Reservoir would be larger than Millerton Lake and all of the many existing upstream hydroelectric power reservoirs combined. It would capture high flows generated by above-average water years. Such flows currently are mostly “spilled” as flood releases because of a lack of Millerton Lake capacity and conveyance capacity constraints in the Friant-Kern and Madera canals, that limit Friant Division groundwater recharge and banking opportunities in above-average water conditions. ← On The Way Out?